Ideally, the electricity produced from the photovoltaic system should be consumed directly. If the photovoltaic produces a surplus, then the surplus electricity can either be returned to the utility via the grid (mains supply) or the surplus energy can be stored in an in-house photovoltaic storage. How does a photovoltaic storage work? Basically, the power storage works like a rechargeable battery, which we use in the home. Originally mostly lead accumulators were used, which are less and less used due to technical disadvantages (little depth of discharge, temperature sensitivity) and above all because of the toxic ingredients. Currently, the most prominent solar power storage technology is lithium-ion technology. Known by the e-mobility company TESLA, many photovoltaic storage providers have focused on this technology. The main advantage in the use of lithium-ion technology as a solar battery lies in the high energy density, so it takes little space for the photovoltaic storage in relation to the storage capacity. Currently there is a noteworthy and practically established alternative in the market for solar storage. The saltwater electricity storage technology. When the saltwater technology is used as a solar storage, then you build on the safest and most environmentally friendly PV storage on the market. The saltwater solar energy storage can neither burn nor explode, consists of natural materials and is maintenance-free. Technically speaking, all three photovoltaic storage technologies have a similar structure. 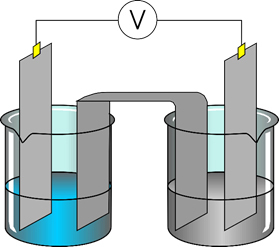 They consist of anode and cathode and have an electrolyte as carrier material for the ion flow. If the battery is charged or discharged, the ions migrate to the anode or cathode or vice versa. When comparing different photovoltaic power storage systems in addition to technical advantages and disadvantages it is important to understand the effective cost of electricity storage. On the one hand, the acquisition costs, which are usually defined in euros per kilowatt-hour (EUR / kWh). For a real lifetime cost comparison it is best to use as a basis the usable kilowatt hours. Some photovoltaic storage have a lower usable storage capacity, which at first glance may give a distorted picture in terms of comparison of the initial costs. Relevant are the total costs per usable storage capacity in kWh. We have a photovoltaic storage with 1 kWh of usable storage capacity with 5000 cycles, a discharge depth of 100% and an efficiency level of 90%. That’s 4,500 kilowatt-hours of energy throughput. The kilowatt hours of energy throughput are then compared in the cost comparison to the cost per kWh. 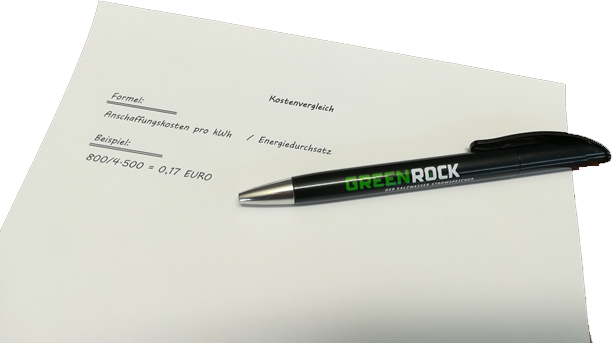 If the initial costs are 800, – Euro per kWh, then the effective cost per kWh is 0.17 Euro cents. It is important to compare the solar storage properly. For practical use with a photovoltaic system you need in addition to the battery, an inverter and an energy management. Thus, the costs should be compared holistically and not just the storage only. Is a photovoltaic storage system economical? In order to answer this question, you need two more information in addition to the effective costs per kWh of the solar energy storage (see calculation above). In this way, the economic efficiency is mathematically answered fast and easy. A photovoltaic power storage is economically useful if the current purchase costs less the feed-in tariff received are higher than the effective cost of the photovoltaic electricity storage. If the current electricity purchase costs (excluding sales tax) are 22 euro cents per kWh and you get a feed-in tariff of 2 euro cents per kWh, then you save with a power storage 3 euro cents per kWh, taking the above costs as an example used. Of course, it should be noted that PV storage is seen as an investment in the future. Historically, effective electricity costs have increased in recent years. Thus, the electricity storage is also an insurance against further increases of electric power prices. In addition to the pure economic calculation of the solar power storage the system offers further benefits. If the PV storage is equipped with emergency power capability important consumers (e.g., alarm equipment) can operate even in the event of a power outage. Safety and reliability of key electrical consumers is ensured. Depending on local conditions and energy a power storage in the ratio 1: 1 to 1: 1.5 to the kWpeak power of the PV system is recommended. A larger storage provides safety with increased consumption, more reserve in case of power failure and is more durable. Photovoltaic storage with a size between 8 to 12 kWh storage capacity.